In the past decade the principles of effective teaching for doctors have come of age. To earlier generations of doctors no training in specific teaching skills was provided. Teaching was a skill that you were expected to possess or acquire. Effective teaching techniques are now a requirement for doctors, as highlighted by the General Medical Council,1 and can be learnt and perfected like any other medical skill. Every doctor is expected to deliver teaching, whether to medical students, allied health professionals, or postgraduate doctors. Furthermore, there is an expectation to show formal training in teaching methods. A passionate teacher will be an asset to any medical department. This, coupled with the personal satisfaction of being an effective teacher, is the motivation to become a better medical educator. There are many skills that make a good medical educator. Figure 1 outlines some of these qualities.2⇓ It is important to remember that most teachers do not begin their careers with a full complement of these skills; becoming an effective teacher is a process of continual refinement. It is vital to have a basic grasp of how adults learn, the different learning styles, how to adapt your teaching to different situations, and an understanding of assessment. This can all be gained from self directed reading of general teaching texts; however, newer teaching manuals aimed specifically at teaching in medical education are often more digestible. A variety of medical education courses are also available, ranging from short focused training programmes that aim to provide doctors with the fundamentals of teaching to courses leading to a formal teaching qualification such as a certificate, diploma, or masters in medical education. Several of these can be undertaken through distance learning. A great deal can also be learnt from observing and discussing teaching methods with experienced teachers. This can be taken further in the form of a mentor. The potential utilities of this role model are vast but can include advice, guidance, resource facilitation, and counselling about difficult teaching situations. The mentor is usually a senior colleague who can offer positive and negative feedback in a non-judgmental manner. The relationship may be a prolonged one, sometimes both professional and personal, and can be an asset to mentor and mentee. Reflective practice and introspection help to develop a teaching philosophy to identify your personal approaches, objectives, and priorities. This process facilitates personal growth as a teacher and encourages you to incorporate new ideas regarding teaching. Feedback from other teachers or colleagues. They all have their own merits and drawbacks, but a combination of all three will result in the most reliable opinion. Medical schools have embraced the importance of feedback; most now incorporate formalised feedback systems to ensure that the quality of teaching remains high. However, some more immediate forms of feedback, such as the Harvard one minute questionnaire, have the unique advantage of giving the teacher an opportunity to improve the particular episode for the very group of students providing the feedback.4 Self feedback allows the teacher to build a portfolio of reflective logs that help to identify pearls, pitfalls, and specific strengths and weaknesses. Self feedback is the most consistent method and thus, in some ways, the most reliable. Feedback from colleagues is more difficult to obtain, and some people believe that the intrusive nature of direct observation falsifies the teaching environment and is unreliable. In these situations, indirect feedback (from video playback) is often a reasonable alternative. Feedback is at its most effective when several methods are used simultaneously and interpreted in a positive light. E-learning and webcasting are examples of educational strategies that have become commonplace in many medical institutions. More recently, interest has moved towards the use of mobile technologies to improve learning. Podcasts and vodcasts, audio and video files respectively, can be downloaded to portable computer devices such as an MP3 player. They are being increasingly used for lectures. Some of their many advantages include portability, facilitation of learning “on the go,” and encouragement of self directed learning. Selective replay to consolidate particular weaknesses can also be useful. Wikis and blogs are websites that allow easy creation and editing of material (links to websites, uploading files), together with a record of continual dialogue by numerous individuals simultaneously. These can be used for students who are geographically separated and are propagating distance learning. They have been useful for creating virtual journal clubs, for example. Interactive white boards combine the traditional flipchart, overhead projector, and white board. They are large touch sensitive surfaces that are connected to a computer and a digital projector. They can be useful in problem based learning when working with a small group. This technology promotes student interaction and collaboration within the learning environment. Simulation based medical education allows the learner to use a variety of resources that aim to mimic real life situations. Simulation includes simplistic (low fidelity) procedural models that have been used for many years to assist individuals in task specific clinical skills—for example, genitourinary models for catheterisation. In recent years, new software and hardware have been developed to produce immersive high tech and high fidelity simulators for complex procedures such as laparoscopic surgery and endoscopy. The most sophisticated simulators are often in dedicated centres and can replicate tasks and environments simultaneously. In many of these the model can have heart sounds, breath sounds, and selectable electrocardiogram traces, and it can be possible to cannulate and intubate the same model. These simulators can be used to re-create a scenario in an operating theatre, for example. Audiovisual recording equipment is usually available to facilitate the valuable feedback process. Sophisticated simulators are ideal for group training and development of non-technical skills, such as teamwork, leadership, and delegation. The use of modern technology in education is not a passing trend but a powerful tool to supplement traditional teaching methods. The next generation of undergraduate students will automatically embrace these changes, and as teachers we must do the same to maximise the potential benefits and improve ourselves as medical educators. As in clinical medicine, evidence based practice in clinical education is paramount. As medical educators it is essential to ensure that the methods used, in which there is considerable national financial investment, are improving the practice of future doctors and therefore patients’ outcomes. The days of “see one, do one, teach one” are being replaced by teaching methods that are backed by research. High quality evidence is necessary to establish policy and practice of the highest standard and has resulted in the formation of specific organisations such as Best Evidence Medical Education. Contemporary educational research faces numerous challenges. The traditional research methodologies that apply to trials of medical intervention do not necessarily suit educational research, and thus new research methodologies specific to educational practice are being developed. The difficulty in defining standardised outcomes can be further compounded by a lack of standardised and reliable assessment methods. Sometimes ethical difficulties arise.6 All these challenges are slowly being tackled, and educational research is taking important steps in the right direction. We can take heart from the progress that has been made over the preceding decades. We now have generations of students and doctors who consider training in teaching methods as part of the norm. Many students now have the opportunity to take formal qualifications and fellowships. Educational excellence, along with clinical excellence, is increasingly being recognised and rewarded appropriately. However, we cannot rest on our laurels and must continue to strive to improve how we teach and to embrace new ways of delivering teaching, while not losing sight of the main goal: to be better at treating patients and delivering high quality healthcare. In times of limited resources and changes in delivery of services, we must also ensure that education is included, costed for, and not squeezed out. Competing interests: All the authors are also authors of Effective Medical Teaching Skills, published by BPP Learning Media, of which MG is medical publishing director. General Medical Council. Tomorrow’s doctors. General Medical Council, 2003. www.gmc-org/education/undergraduate/undergraduate_policy/tomorrows_doctors.asp. Harden R M, Crosby J R. AMEE Education Guide No 20: The good teacher is more than a lecturer—the twelve roles of the teacher. Medical Teacher2000;22:334-47. Ammons R. Effects of knowledge of performance: a survey and tentative theoretical formulation. J Gen Psychol1956;54:279. Harvard University. 1-minute paper worksheet: a thinking-centered self-assessment tool. http://learnweb.harvard.edu/alps/thinking/docs/minute.htm. 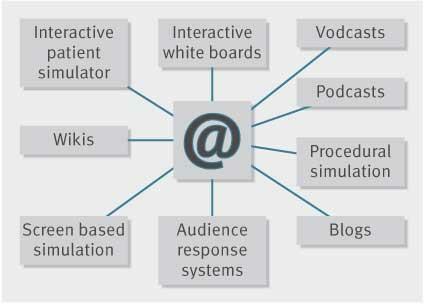 Bradley P. The history of simulation in medical education and possible future directions. Med Educ2006;40:254-62. Murray E. Challenges in educational research. Med Educ2002;36:110-2.